The Coat of the Season and Where to Get it at 39% Off! Winter is officially here, and I don’t know about you, but I’m freezing! I have been buying coats lately and it seems like nothing else because I just want to finally be warm! On my hunt for the perfect coat, I do believe I found it! Living in such a cold state, my coat closet is stacked to the brim. I probably pick up 2-3 new coats at least, each new year. There are so many great options out there, its so easy to stay chic, while staying warm, and saving yourself some money while you’re at it. Buying coats can be super expensive, and a lot of us are afraid to buy one that is inexpensive because most of the time it will not actually be warm or durable enough to get us through the long cold winter, let alone several seasons! Well I found the most unbelievable cape from Oasap.com. If you’ve been following my blog for long you know that I’m a huge Oasap fan. They offer such a HUGE variety of clothing, shoes, bags, jewelry, and accessories, all at unbelievable prices! You can also find very luxe, higher quality items for a bargain here too! 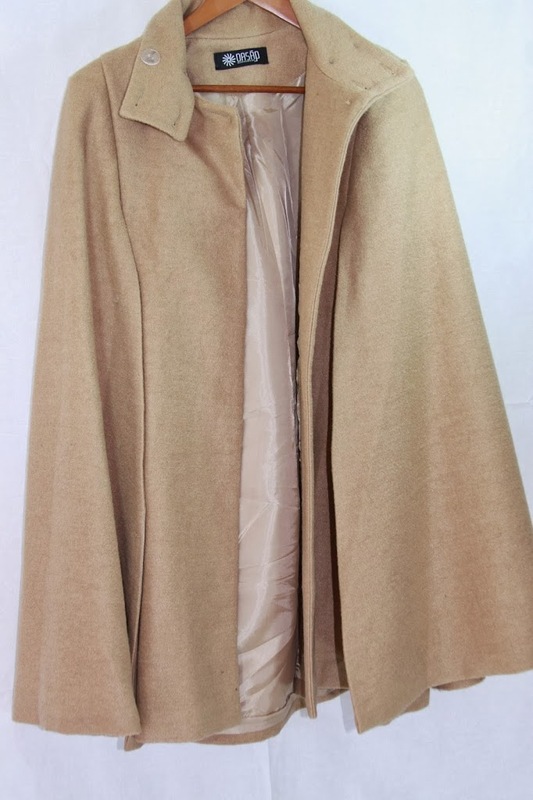 My Camel Cape (which by the way, capes are huge again this season, and seem to be going nowhere anytime soon) is reg $144 but you can pick it up right now for only $88! Hurry there are only a few left, which I’m sure you can see why! Because this coat is a little on the pricey side for Oasap, you know it’s super luxe and made of great quality. When it showed up at my door, I was extremely impressed with how thick and heavy it is. I knew it was going to keep me warm, and it did just that! Here in my pictures, it was about 20 degrees with an insane wind chill that probably made it closer to negative 10. My lovely camel standing collar wool cape kept me so warm. I loved how polished It made me look and feel too. Coats tend to be all the same, I love the uniqueness a cape brings to your wardrobe and style. I feel more elegant in this cape, and I love how well it goes with some black faux leather leggings pants, but It would look just as amazing over your favorite dress for the night out! 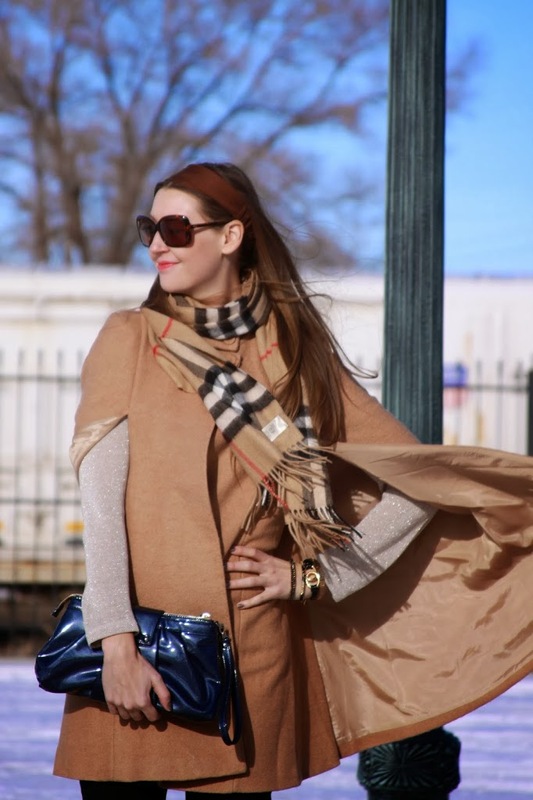 This cape can take you everywhere, no matter what the occasion, and keep you incredibly warm while doing it! 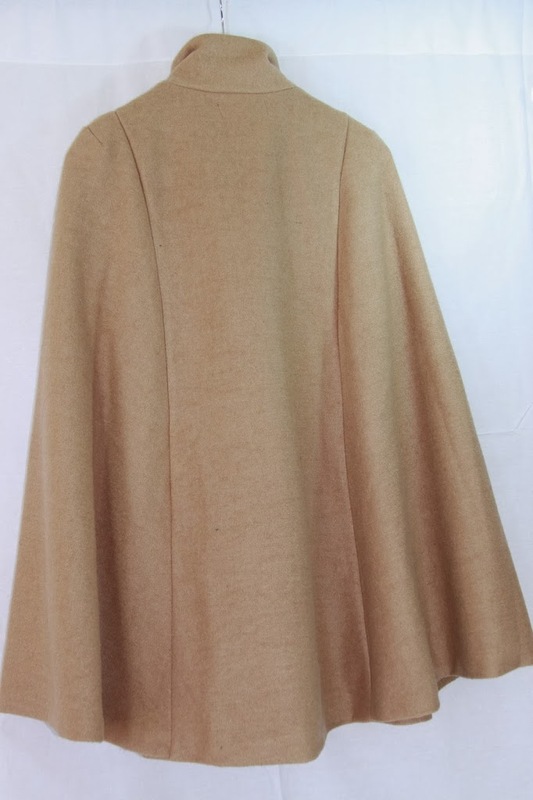 I know you’re going to love this beautiful wool cape as much as I do! Hurry and get yours before they’re gone! Check out Oasap.com today! You can also get this lovely cape in Black or a really pretty peachy-Orange too! *Disclosure: I received this cape for the purpose of review. However, all thoughts and opinions expressed are solely my own. I only share reviews with my readers I feel will be beneficial or informative to them in some way.